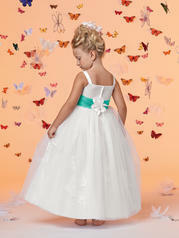 Shown in White/Tiffany�Satin bodice with straps. Shirred waistband with flower at back. 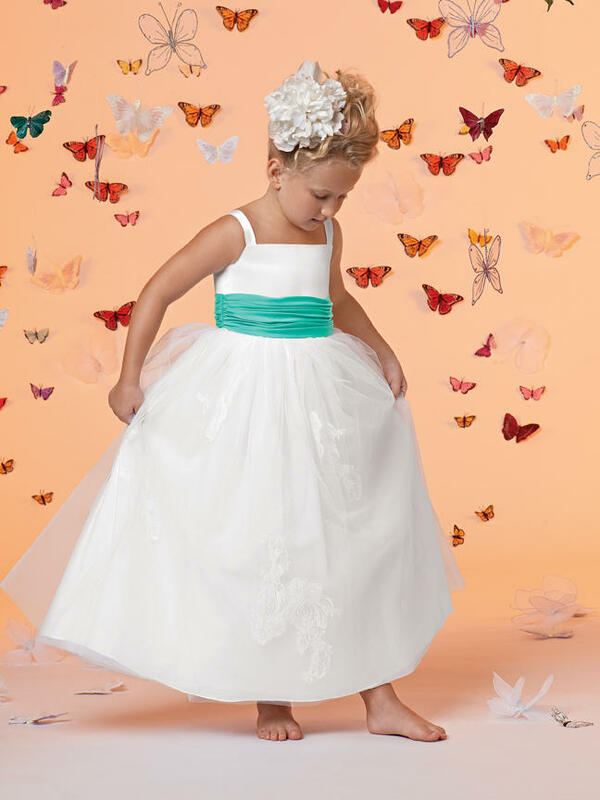 Full floor length Tulle skirt with lace appliques. Available in ankle and floor length. 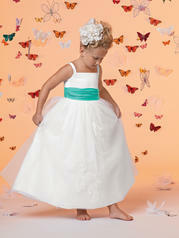 Available in any tulle color in combination with any crystal satin color. Not available in solid Light Ivory.